A team of scientists argues that we should evaluate the effectiveness of protected areas based on the outcomes for biodiversity, not simple the area of land or ocean they protect. In a paper published April 11 in the journal Science, they outline the weaknesses of Aichi Biodiversity Target 11, which set goals of protecting 17 percent of the earth’s surface and 10 percent of its oceans by 2020. They propose monitoring the outcomes of protected areas that measure changes in biodiversity in comparison to agreed-upon “reference” levels and then using those figures to determine how well they are performing. Countries should concentrate on outcomes instead of actions when they set aside areas for parks and reserves to shore up the loss of biodiversity, according to a group of scientists. At the United Nations’ Convention on Biological Diversity conference in Aichi, Japan, in 2010, more than 190 countries committed to protecting 17 percent of the Earth’s land and 10 percent of the oceans by 2020, along with 19 other goals aimed at stemming the worldwide loss of biodiversity. But the researchers say that Aichi Biodiversity Target 11, the current guide for increasing the proportion of the planet that’s protected, is too focused on percentage targets. That leads to conservation of less critical areas and other “perverse outcomes,” said Piero Visconti, the paper’s lead author and an ecologist at the International Institute for Applied Systems Analysis in Vienna. 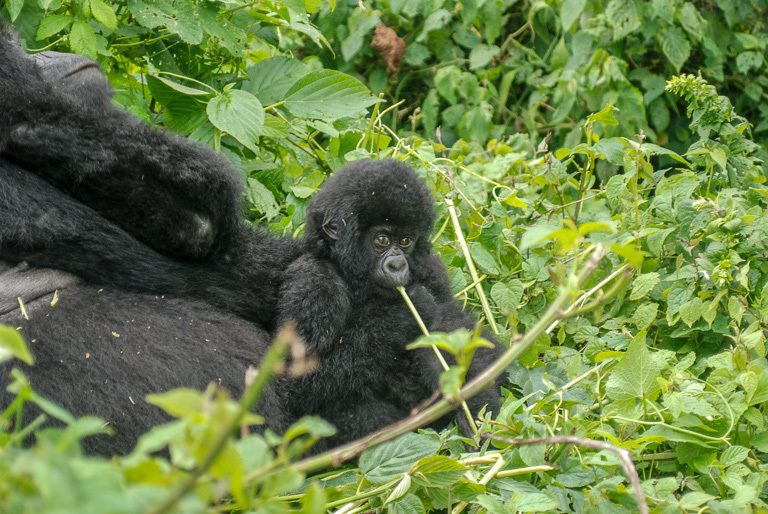 Mountain gorillas in Virunga National Park in the Democratic Republic of Congo. Image by John C. Cannon/Mongabay. Visconti and his colleagues published their paper April 11 in the journal Science. The team acknowledges that the goals set forth in the Aichi Biodiversity Targets likely spurred increases in the area of land and sea protected since 2010. But Aichi Target 11 has led countries to focus on hitting those numbers, not creating protected areas, or PAs, that will best protect threatened species, they write. “Having a percentage target is easy because people can visualize it, and it’s easy to report and monitor,” Visconti said. 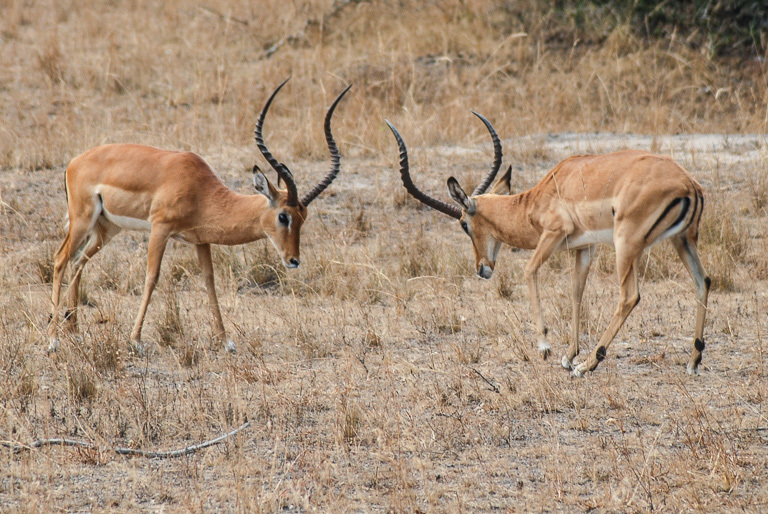 Impalas in Akagera National Park, Rwanda. Image by John C. Cannon/Mongabay. In some cases, the result was “many new PAs being established in locations that are disproportionately unimportant for biodiversity,” the authors say. A 2014 study suggests that placing parks and reserves in places where threatened and underrepresented species live would include 30 times more plant and animals species threatened with extinction within the borders of delineated protected areas. Elsewhere, some parks and reserves are protected in name only, without adequate resources, for example, to keep out poachers or halt the creeping conversion of habitat to farmland. And yet, each hectare in these “paper parks” counts just as much toward meeting percentage targets as a hectare in a reserve where authorities have invested in the people and tools required to protect biodiversity. Even in the latter case, however, the effectiveness of parks is measured in the inputs, rather than the protected area’s impact on biodiversity. 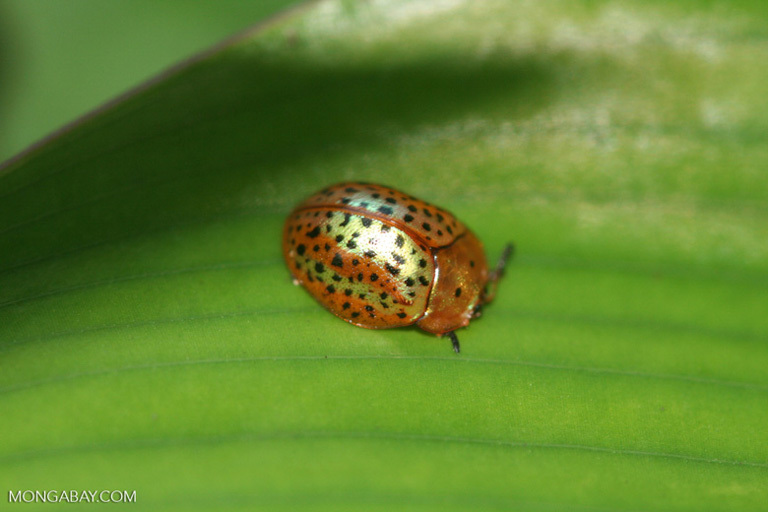 A tortoise beetle in Colombia’s Amacayacu National Park. Image by Rhett A. Butler/Mongabay. In the last six decades, designated protected areas have done a better job of protecting local and global cross-sections of animal and plant communities called “ecoregions.” But the authors contend that such a broad view doesn’t necessarily protect comparable levels of species diversity, according to recent research. Focusing targets on these finer details will better encourage the survival of not just species themselves, but of genetic variation and the ecological functions that diverse networks of life are responsible for, they write. Finally, sorting out who is responsible for what parts of meeting an international goal like Aichi Target 11 has proven challenging, and as a result, national protected area commitments have fallen short of the requirements laid out in the target. “We need all nations to be honest when accounting for how much land and water they have set aside for biodiversity conservation,” James Watson, an ecologist at the University of Queensland, Australia, and the Wildlife Conservation Society, said in a statement. 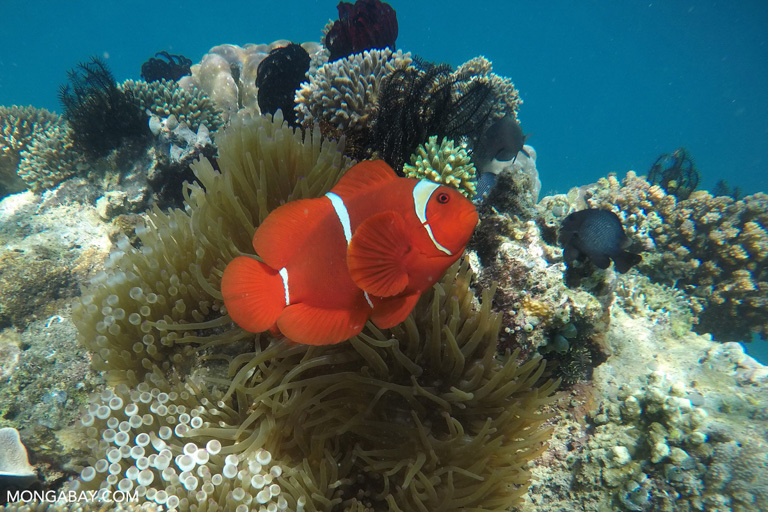 A clownfish in a coral reef near Komodo National Park, Indonesia. Image by Rhett A. Butler/Mongabay. For the targets to protect biodiversity, they must be scalable, the authors say — that is, the national share of responsibility toward the target needs to be measurable, and the sum of all national responsibilities should achieve the global target. To address these issues, they propose monitoring the outcomes of protected areas that measure changes in biodiversity in comparison to agreed-upon “reference” levels and then using those figures to determine how well they are performing. In addition, the researchers argue that the most important sites should be prioritized for protection based on a universal standard. In 2016, the IUCN published guidelines for defining these “key biodiversity areas” that take into account variables such as how irreplaceable the threatened species in a certain area are and whether they exist in other parts of the world. “We know protected areas work,” Watson said. “[W]hen well-funded, well-managed and well placed, they are extremely effective in halting the threats that cause biodiversity loss and [ensuring] species return from the brink of extinction. “The challenge is to improve the management of those protected areas that are most valuable for nature conservation to ensure they safeguard it,” he added. 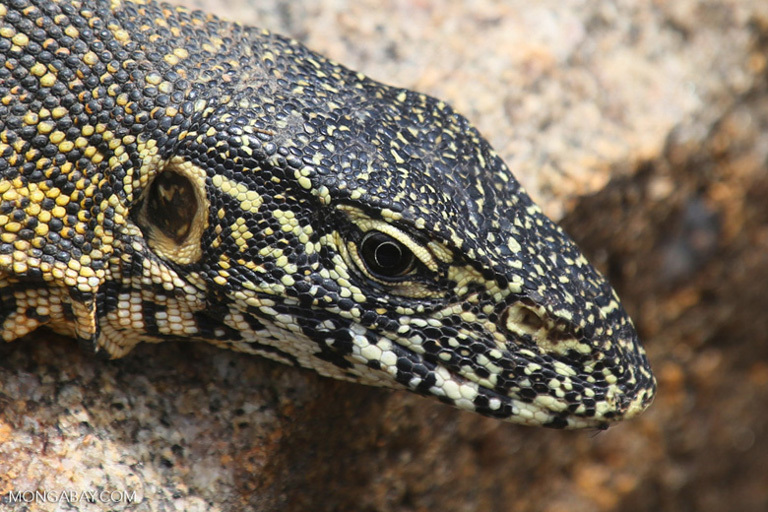 A Nile monitor in Kruger National Park, South Africa. 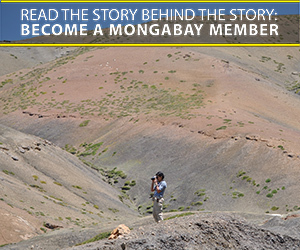 Image by Rhett A. Butler/Mongabay. The conservation community is now considering the next steps in protecting biodiversity after 2020. Focusing efforts toward these targets based on outcomes that are positive for biodiversity, rather than the protection of a certain area of land or ocean, is what will truly make a difference in reversing the disappearance of species, Visconti said. “If governments are serious about protecting biodiversity, there’s no other way,” he said. Banner image of a sea turtle in the Maldives by Jayne Jenkins/Coral Reef Image Bank. IUCN. (2016). A global standard for the identification of Key Biodiversity Areas, version 1.0.